Elementary students are accepted from Kindergarten to Grade 7, and are fully integrated into classrooms with their Canadian peers. English language support is offered in a number of manners, and varies from school to school. Intensive ESL (English-as-a-Second Language) is not offered. 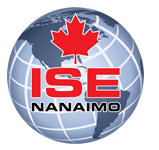 Nanaimo-Ladysmith School District has 29 elementary schools. Below are two examples. September entry, November 15 for January entry. Ensure you stay up to date on the latest with the International Education Elementary Program. View our Elementary School Calendar.